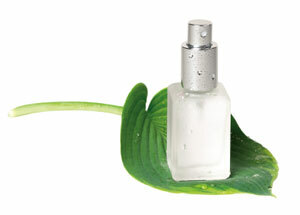 Magnesium spray is a form of transdermal magnesium provided in a convenient spray bottle for application to the skin. Transdermal magnesium therapy offers the greatest potential for effectiveness, convenience, and low cost. The concentrated solution of magnesium chloride and water that is sprayed onto the skin is commonly referred to as “magnesium oil”, or sometimes “magnesium spray” or “magnesium oil spray”. This magnesium oil spray is typically 31% to 35% magnesium chloride with the remainder being pure water and trace minerals. Magnesium spray is moisturizing and hydrating, largely because of its hygroscopic (i.e., water absorbing) properties, and therefore holds moisture when applied to skin. It tends to be less moisturizing in dry environments where there is lower humidity, but this can be remedied by adding it to lotions or mixing it with other ingredients (e.g., aloe vera) that help it to retain its inherent moisturizing qualities. Spray-on magnesium is highly effective because magnesium chloride is absorbed quickly through the surface of the skin. The body absorbs and assimilates topically-applied magnesium chloride faster and more completely than it absorbs oral magnesium supplements. In addition, the body self-regulates its absorption of magnesium. This means that skin does not absorb more than the amount of magnesium chloride it requires. Oral magnesium supplements are difficult to assimilate because the digestive tract has limited capacity for absorbing magnesium. Amounts of magnesium in the digestive tract that exceed the body’s capacity for absorption can create laxative effects. Rapid release of excess magnesium through the digestive tract may cause intestinal discomfort or loose stools. In addition, many oral magnesium supplements contain forms of magnesium that are not absorbed or assimilated as well as magnesium chloride. Magnesium chloride spray bypasses oral routes of delivery, and is absorbed directly into the body. Does not overwhelm the body’s capacity to absorb it. In addition to topical magnesium spray, other forms of transdermal magnesium chloride available include magnesium flakes and magnesium gel. Magnesium flakes are crystals of magnesium chloride usually sourced from the same sources as magnesium oils. When derived from ancient seabed magnesium chloride, these flakes provide identical benefits. The main differences are that flakes do not contain water and must be added to water to create a solution that can be used transdermally. These flakes are ideal for use in baths and footbaths. They can also be used to create a liquid magnesium spray when water is added to them. Because they weigh less than magnesium oil (as they do not contain water), they are especially useful for travel or in applications requiring greater portability, or for dry storage. Magnesium gel is a product that contains magnesium oil and other ingredients such as aloe vera that make it useful for applying on skin where moisturizing is desired, or where the benefits of aloe vera are important. For example, magnesium gel is known to be beneficial in cases of skin conditions, including psoriasis. Avoid using magnesium chloride oil spray or gel on broken or irritated skin, including skin lesions or inflamed areas. Magnesium chloride speeds healing of cuts, scratches, abrasions, and sunburns, yet it is best not to apply full-strength magnesium chloride on skin injuries. Magnesium baths are advised for individuals experiencing skin conditions or injuries because concentrations of magnesium chloride are lower. In addition, avoid directly placing full-strength magnesium oil or gel into sensitive mucosal tissues, such as the eyes or nose. The purest forms of spray magnesium are made from, of course, the purest forms of magnesium chloride. Look for a brand that is sourced from pure seabed magnesium, such as Genuine Zechstein magnesium sourced from a seabed protected at 2000 meters deep in the interior of the earth. Ancient Minerals magnesium oil spray uses only Genuine Zechstein magnesium chloride, providing all of the benefits of magnesium spray with the additional assurance of naturally-derived purity.